The Portsmouth to Santander ferry route connects Portsmouth, a port city in Hampshire on the south coast of England to Santander, the capital city of the Cantabria region in north east Spain. 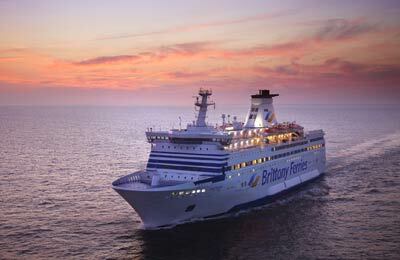 The ferry route is operated by Brittany Ferries. There are up to 3 crossings per week. The crossing time is approximately 23 hours and 30 minutes. The route accepts vehicles and foot passengers. The Portsmouth to Santander route is one of the most popular routes to Spain from England. If want to go to Spain with your vehicle it is far more relaxing that travelling down via France and the whole journey takes just 24 hours. With a choice of cruise style ferries or simple but cheaper sailings with Brittany Ferries économie, there really couldn't be a more convenient ferry route to Northern Spain. 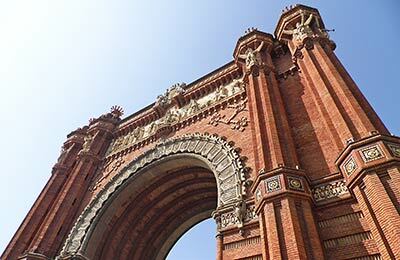 When you do a comparison with AFerry, we compare all available routes to Spain so can make the choice that is best for you. If you choose to sail on a regular ferry, you'll find a cruise-like experience with plenty of luxurious facilities to keep you comfortable and entertained during your crossing. Using this service, there are two weekly crossings carried out by two ferries - the Pont Aven or the Cap Finistère . Sailings depart on Tuesdays and Fridays and last 24 hours. Not only can you take your vehicle when you travel to Spain with the ferry but the experience is altogether more relaxing and comfortable. In terms of dining options, you can opt for a simple snack or quick bite in one of the many bars and cafes. There's also a self-service restaurant with a huge range of choices at great prices. And if you want to spoil yourself as you glide over the ocean, head for the fine dining restaurant where expert chefs prepare meals that you won't forget. You are also sure not to feel bored on your sailing. You'll find cinemas with the latest movies, slot machines and video games, a range of shops as well as sun decks and lounges and even a swimming pool. If you're travelling with children, they'll also feel like they're on holiday while on board. In addition to the facilities mentioned, you'll also find children's meals in the restaurants, and if you are travelling with younger children there are baby-changing facilities throughout the ship and you'll also have constant access to your cabin throughout your sailing. This service offers a comfortable crossing but not the full cruise-style experience. However, tickets are often considerably cheaper. The économie service departs every Saturday at 08:15 from the end of May. There is also a variety of cabins all of which are ensuite. The cabins lack carpets however. You can see details of cabins and prices when you make your booking. You should provide with a decent free WiFi. You WiFi is the worst I have ever used in my life. It was almost impossible to get connected. So many people were upset. The staff knew the thruth nevertheless they always said, we are trying to improve the signal. these comments and the above star rating is for aferry and not Brittany ferry. I am very impressed with the way aferry treats its customers and the way they sort out problems very quckly. The ferry seems to have been designed as ferry for commercial vehicles. The food left a lot to be desired. The staff in the restaurant were very helpful, the rest of the staff seemed to be just doing a job. our outward ferry was cancelled because of the bay of Biscay and we were told that we could not get a ferry in 2 weeks which seemed very unfairbut thanks to the efficiency of aferry we were offered a ferry to caen, the ferry was much better than the one to Santander. Because of the bad weather in France it became a very expensive trip down having to stay at hotels on the way down to spain adding 2 extra days to the journey. although we had a refund for part of the journey it no way compensated for the extra cost. This was a last minute booking. Nice surprise that we were on the top deck in a lovely cabin. Smooth crossing round the bay of biscay also helped.